Flourish : A new understanding of Life's Greatest Goals- and what it takes to reach them. In this groundbreaking book, one of the world's foremost academic psychologists- and founder of the Positive Psychology movement- offers a new theory on what makes people Flourish and how to truly get the most out of life. Martin E.P. Seligman, Ph.D., is the Zellerbach Family Professor of Pyschology and the Director of the Positive Psychology Center at the University of Pennsylvania. Among his 20 books are Learned Optimism, What You Can Change and What You Can't, The Optimisitc Child and Authentic Happiness. His books have been translated into 25 languages and he regularly tours Australia. This book is written by an extremely intelligent man who has worked with people like the US Military and Students in Australia.....his research and thoughts on how the mind works is informative and made me look at the way we treat Mental Health issues in a whole new way. Commonly known as the founder of Positive Psychology, Martin Seligman is a leading authority in the fields of Positive Psychology, resilience, learned helplessness, depression, optimism and pessimism. He is also a recognized authority on interventions that prevent depression, and build strengths and well-being. He has written more than 250 scholarly publications and 20 books. Dr. Seligman's books have been translated into more than twenty languages and have been best sellers both in America and abroad. Among his better-known works are Flourish, Authentic Happiness, Learned Optimism, The Optimistic Child, Helplessness, and Abnormal Psychology. 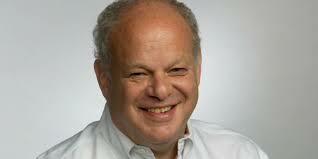 In 1998, Dr. Seligman was elected President of the American Psychological Association.